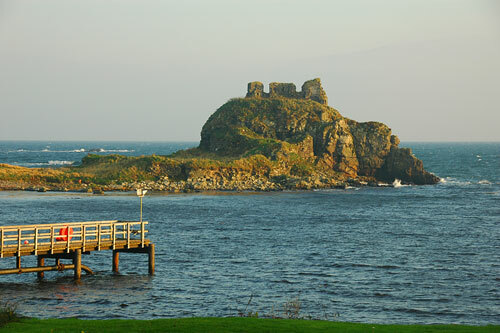 That's of course Dunyvaig Castle on a beautiful October evening in 2007, seen from Lagavulin Distillery. Also in view is Lagavulin pier. As usual I'll post a larger version on the Islay Pictures photoblog on Saturday morning. Good night!